Popular anime Fairy Tail has released a key visual featuring 14 characters for its final season! In addition to beloved heroes like Natsu, the visual includes villains who are less familiar, like Alvarez Empire guard Larcade Dragneel. Based on Mashima Hiro’s manga of the same name, Fairy Tail follows dragon slayer wizard Natsu Dragneel and the members of his guild Fairy Tail as they go on missions and clash with dark enemies. 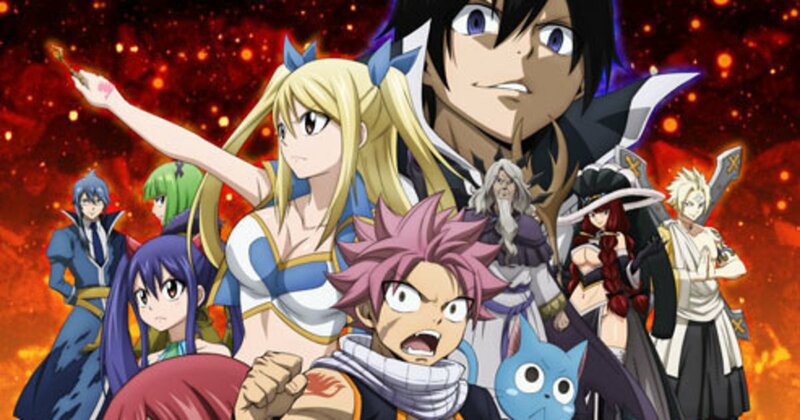 Fairy Tail‘s final season is currently airing on TV Tokyo, TV Osaka, TV Aichi, TV Hokkaido, TV Setouchi and TVQ Kyushu Broadcasting.